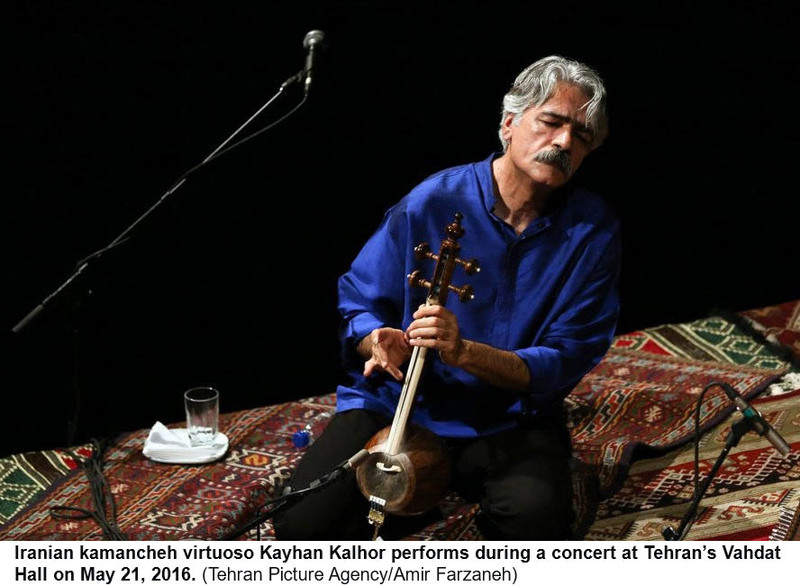 Four-time Iranian Grammy Award nominee Kayhan Kalhor was one of the two winners of the Isaac Stern Human Spirit Award at the Shanghai Isaac Stern International Violin Competition, the organizers announced last Tuesday. The Xiaoshuijing Miao Farmers Choir from Yunnan Province in southern China was the other recipient of the award, which is annually presented in Shanghai, China. Kalhor is a founding member of the Silk Road Ensemble, a multinational collective of renowned performers and composers from more than 20 countries. "I consider myself a cultural ambassador for my country," Kalhor told Violinist.com over the phone after the official announcement of the award. This year's jury was comprised members of the Stern family, conductor Long Yu and cellist Yo-Yo Ma, who has collaborated with Kalhor in several international musical projects. The $10,000 award, which is split by the two recipients, was established in conjunction with the first Shanghai Isaac Stern competition in 2016 to recognize an individual or group that is deemed to have made an outstanding contribution to the understanding of humanity through the medium of music.